SAFETY should be of utmost concern to everyone. 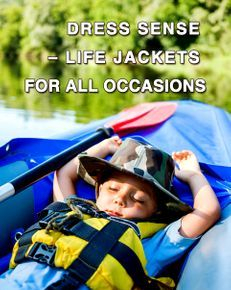 Outdoor activities such as canoeing, kayaking, rafting, and riverside camping are assumed risk sports, which by there very nature, include inherent risks and dangers that can cause bodily injury and even death to participants. Many fine books, videos, and pamphlets are available, which include discussions on safety and these water sports. Local libraries can assist you in obtaining this information, as can the American Red Cross, the U.S Coast Guard, the American Canoe.Org, the CDC.Org, the Kids Health.Org etc. Ten Important Reminders for Canoe, Raft and Kayak Safety and Paddle Boards. 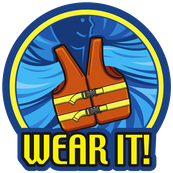 Life jackets are essential to paddle board, raft, kayak and canoe safety–wear them. Pay attention to local weather forecasts. Don't travel alone–always have a raft, kayak or canoe safety partner. Avoid camping in areas subject to sudden rises. Know your ability and don't exceed it. Refrain from drinking creek or river water no matter how clean it appears. Carry out whatever you carry in. Should you capsize, try to stay with your boat and swim it to shore, making certain that you're on the upstream side of the craft to avoid getting pinned between it and rocks or willows.No float trip is free of potential danger, but these ten steps to raft, canoe and kayak safety will help ensure that you’re prepared for whatever comes your way.